Best Gifts for 5 Year Old Girls! Are you looking for a fun gift idea for your 5 year old girl? I heard you are looking for some cool 5 year old gifts for girls? This is your ‘web stop’ then! Welcome to my gift ideas for 5 year old girls guide! I LOVE choosing the cutest gifts for little girls! What are the best toys and gifts for 5 year old girls? First of all they are not toddlers anymore, that’s for sure! Your little girl is growing fast! At 5 years old your little girl is probably going to school already, some for the very first time! I am also a mother of a girl, and even though my ‘little girl’ is already a teenager, I still LOVE choosing cute gifts for little girls! On this page you are going to find a few of the most bought gifts for 5 year old girls by parents. You are going to see outdoor gifts, indoor gifts, lots of cute gift ideas and also a few electronic and musical gifts as well. I believe I was able to come up with some cool ideas! Whether she is your daughter, granddaughter or niece, I’m sure you will find something very special for her! The best thing about shopping for gifts online is that all you have to do is choose your gift, send it and relax! Done! I truly hope you find something amazing for her! Have fun here and God bless your family! A CUTE Pink and Purple and Very Tall Dollhouse! One of the Best Gifts Ideas for a 5 Year Old Girl! 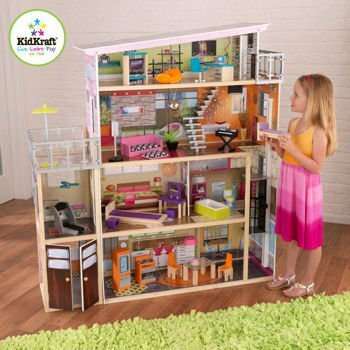 If your little girl is super girly and loves to play with dolls, then a cute and big dollhouse is definitely a great gift option for her! 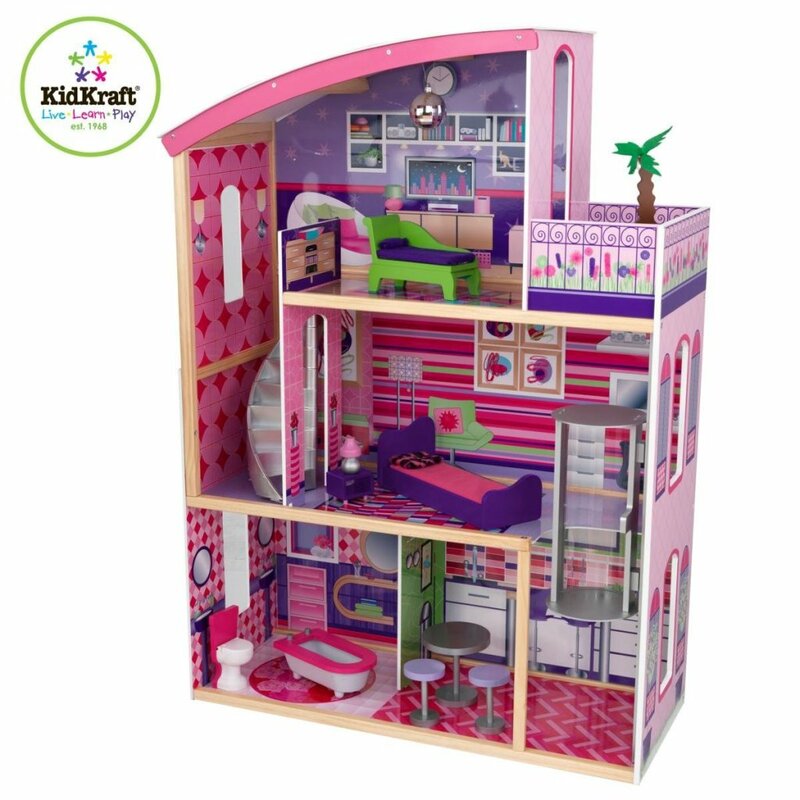 This cute pink and purple elegant dollhouse from Kidkraft has always been one of my favorites for several reasons: fist of all it’s very girly, isn’t it? Second of all, it’s HUGE! Yes, it stands at 18 inches tall! They love that because it gives them a chance to play standing up! Check out the gorgeous furniture! It comes with 12 jumbo size pieces already, including the cute pink dining table and pink sofa you see! Great for twin girls as well or for her to play with her young sisters! 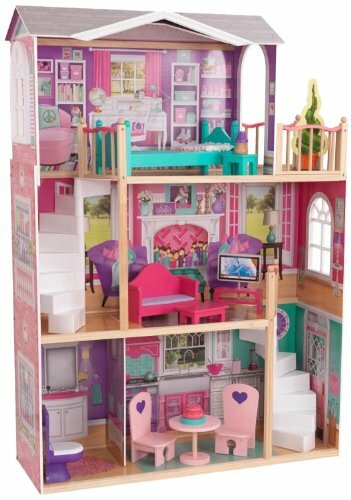 This is a very cute pink dollhouse that will look absolutely amazing in your little girl’s bedroom! It is about 12 inches tall and includes 11 pieces of furniture! I love the cool and modern design! I still remember playing dolls with my sister! Great 5 Year Old Gifts for Girls! Girls still love to play with Barbies and their awesome pink cars!! 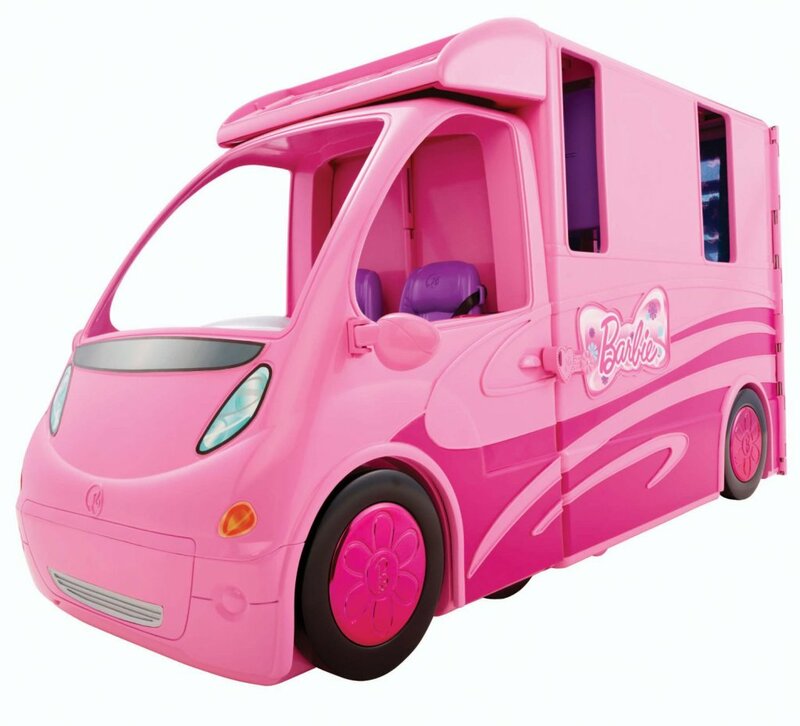 This is a gorgeous pink Barbie RV vehicle inspired by the new Barbie Movie, Barbie and Her Sisters in A Pony Tale! It is very large and it also divides and opens up! Even the bedroom has a huge flat screen TV! Best Ride on Gifts for 5 Year Old Girls! Now it’s getting more and more fun!!! 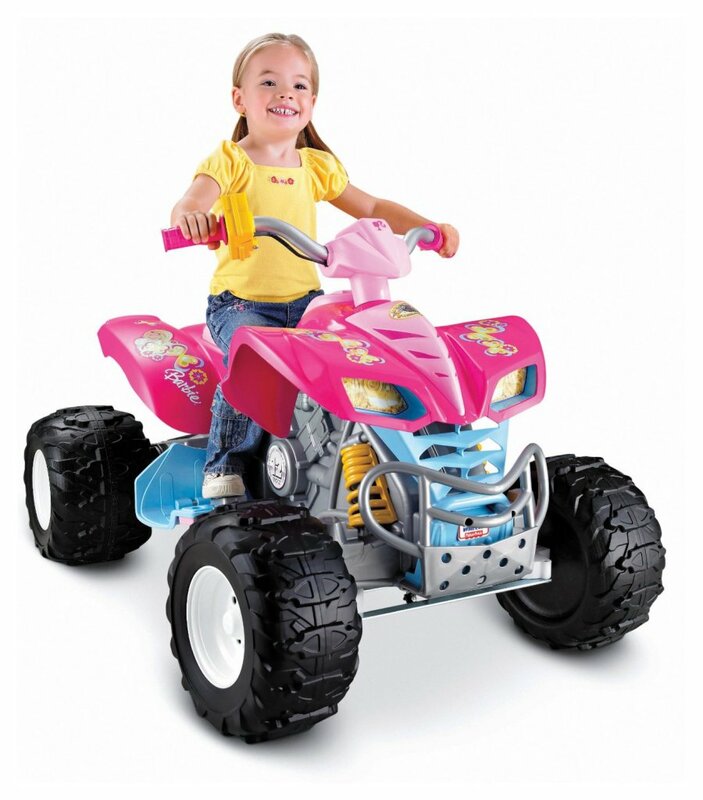 I will say that a cute pink Barbie quad will make one of the best 5 year old gifts for girls!!! It is a real quad! They will be able to ride it around the block next to their parents! The max. speed is 5 mph, so it is perfectly safe but still loads of fun for the kids! Cute Dolls for 5 Year Old Girls! 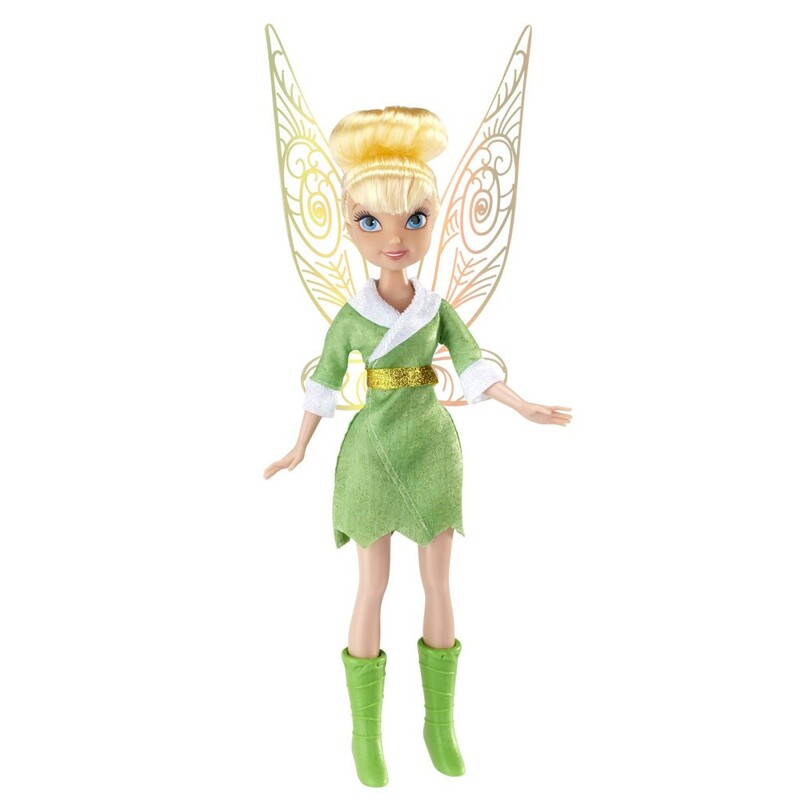 If your little girl loves Tinkerbell and fairies in general, she is gonna love getting her very own fairy dolls! This is a cute Disney fairies doll set! It comes with TWO cute fairies, Tink and Periwinkle! The dolls are absolutely gorgeous and pretty large too! They will each light up when they find out their ‘gift’! I think this is such a wonderful way for girls to also think about their own gifts and to also teach them that we also have a gift inside of us, waiting to be born! 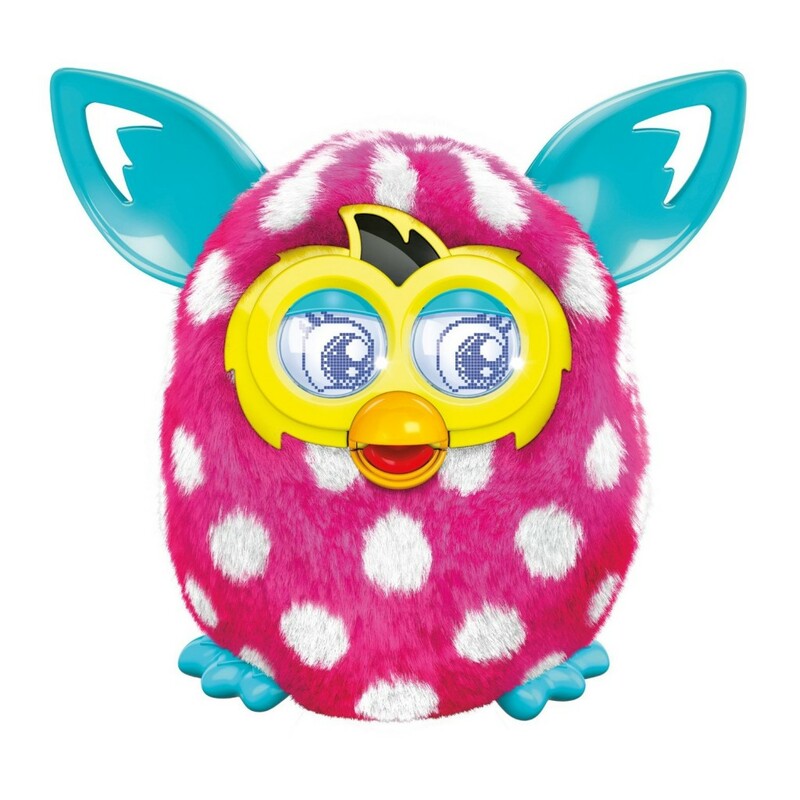 How about the New Furby Doll with Polka Dots? FUN Gift Idea for Girls! My daughter had a few Furby dolls when she was 5 and 6 years old and she had a blast with them! The new Furby dolls look amazing now! I love this pink one full of polka dots! Furby is an interactive doll that talks, dances, changes his personality and plays too! He is so adorable that the whole family is gonna have fun with him! He is about 9 inches tall and it requires 4 AA alkaline batteries (not included). Next step is: give him a fun name! Fun Art Desk for Kids! Does your little girl love to draw, paint and color? If she does, then I think she is going to LOVE getting this awesome art desk! It comes with two benches and the paper roll! My sisters and I loved playing on our art desk when we were little and we loved competing to see who would make the best drawing! This is also perfect for twin girls or siblings! Will keep them entertained drawing and coloring for hours! 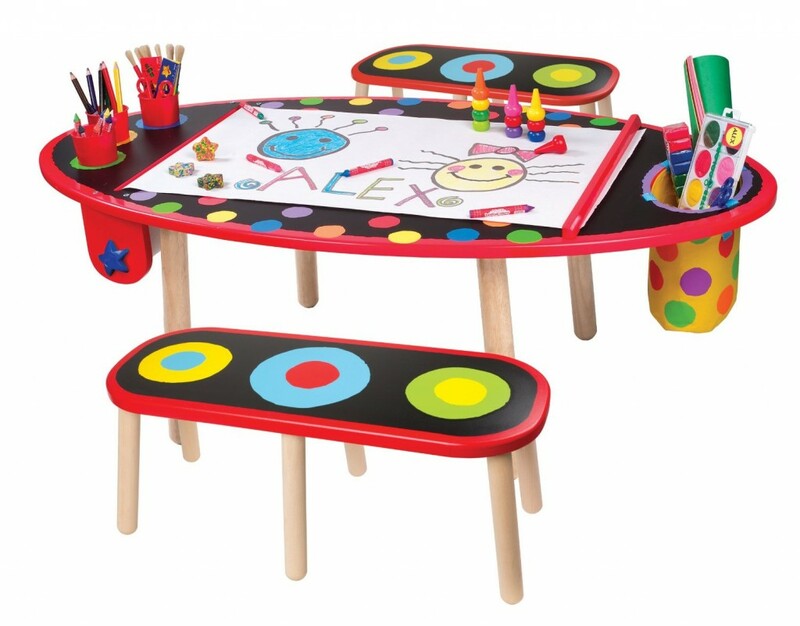 Parents say this colorful art desk is very sturdy and very easy to clean. Also a great place for them to do their homework for the first time! They are gonna love having their own space! Cute Vanity Tables for Girls! Cute Study Desks for Kids! Best Musical Gift Idea for a 5 Year Old Girl! If your little girl is musical, then giving her her first piano keyboard is a great idea! This fun piano starter pack for kids comes with a very easy teaching system that parents and grandparents can help them play! 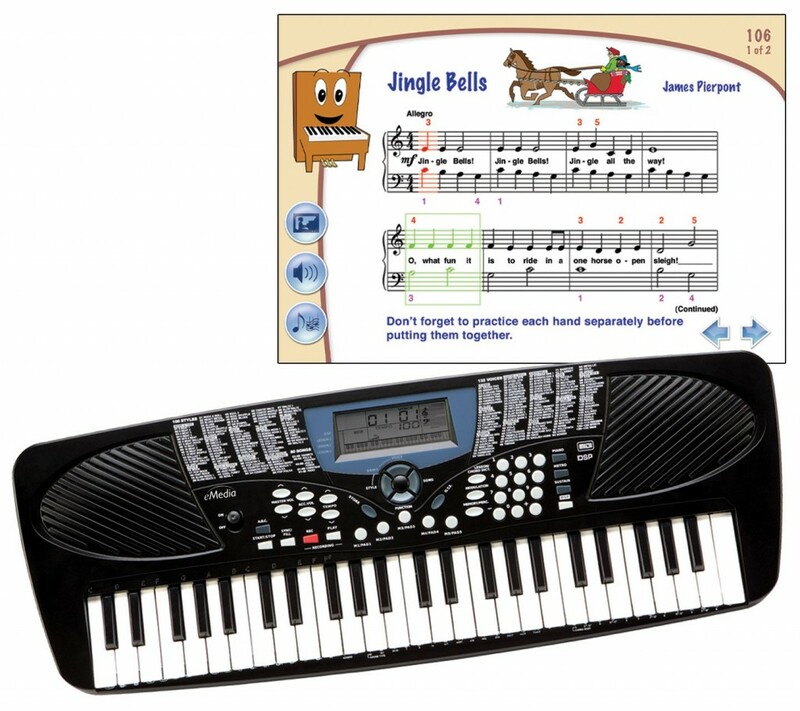 The electronic keyboard is the perfect size for children ages 5 and up, with 49 keys. The lessons are very easy for them to follow and develop a passion for playing the piano later on! Kids also love all the other fun sounds that they can make with this keyboard and they feel so accomplished when they learn a new song! Get ready for lots and lots of musical concerts in your house! 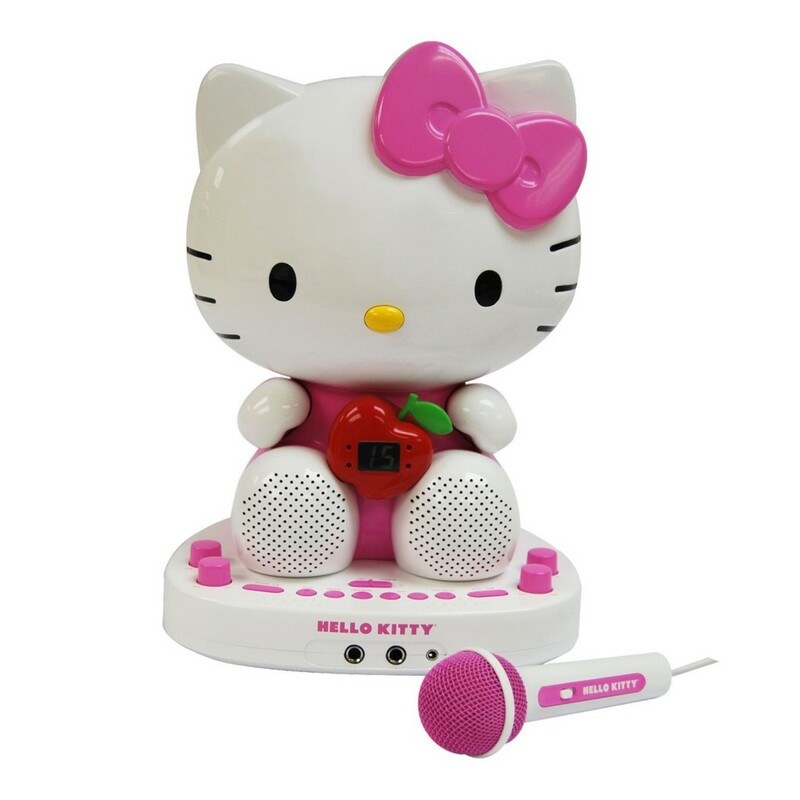 This cute Hello Kitty karaoke system is also a fun gift idea for a 5 year old girl who loves to sing! Have you ever seen anything cuter? Happy buyers said this is the best karaoke machine for little girls being sold! Its best feature is the built-in camera that allows kids to see themselves on TV while singing! Can you imagine how much fun your future rock star is gonna have with this cute karaoke machine? This machine is fun enough for little girls of all ages too, from 3 to 14! I think your daughter or granddaughter is gonna love this gift! How about a Cute Pink Digital Camera? Cool Electronic Gift Idea for 5 Year Old Girls! 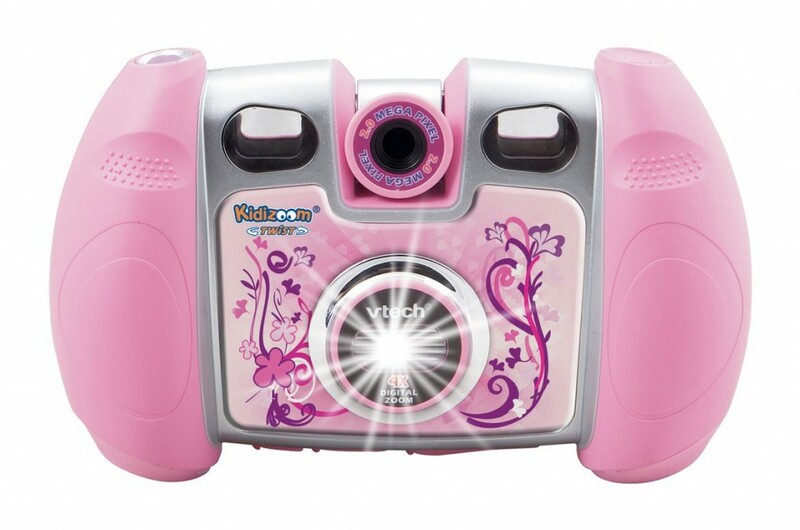 Another awesome and ultra-fun gift idea for your 5 year old girl is her very own pink digital camera! If she likes to take pictures of herself, her friends, pets and everything else this is the right gift for her! It’s also full of fun effects such as fun frames, stamps, voice recording, movie recording and more! Will make a very cool Christmas gift idea for her! 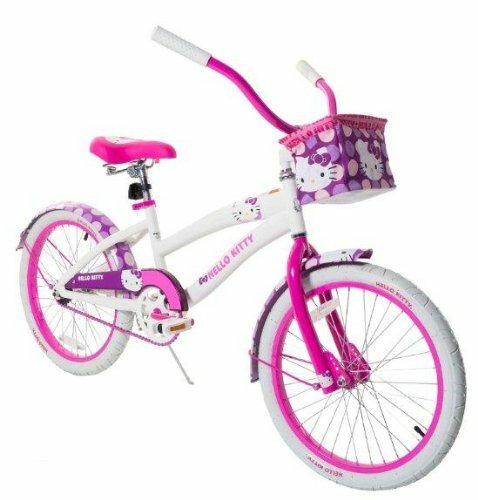 Cutest Hello Kitty Pink and White Cruiser Bicycle for Girls! I think 5 years old is the best age for kids to get their very first bicycle! My daughter was 5 when she got hers! Is there a more fun and cute bicycle for a little girl than this pink and white Hello Kitty cruiser bicycle? I love the cute Hello Kitty pink seat! Just get a cute helmet too! 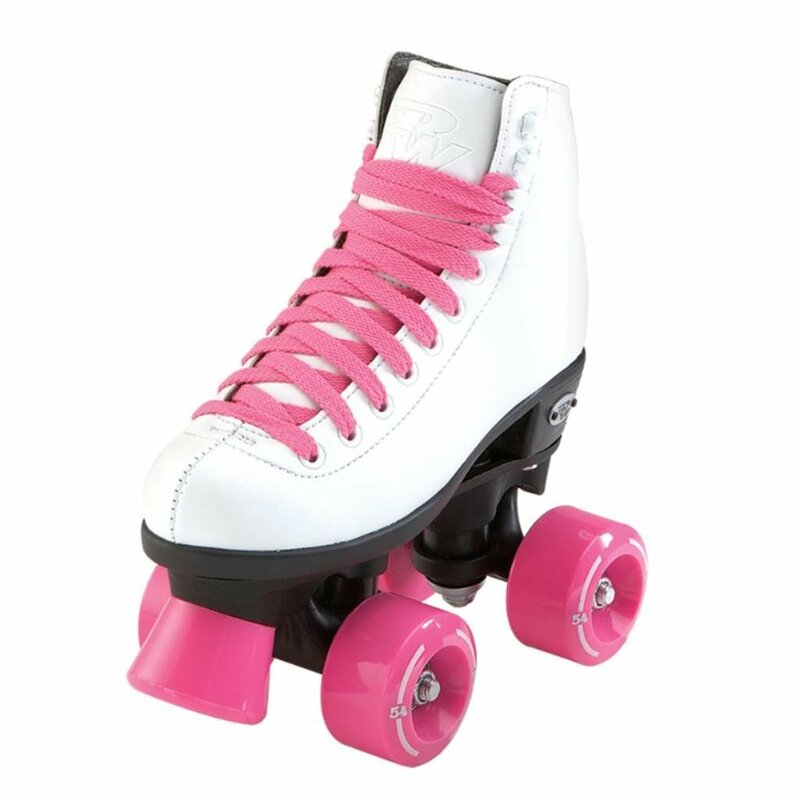 How about some Fun Pink and White Roller Skates for Your Little Girl? Fun Outdoor Gifts for 5 Year Old Girls! If your little girl is the ‘outdoorsy’ type of girl, then she is going to love getting a cute and fun pair of roller skates! Parents who bought these say it is a very good beginner roller skates for girls! They are great for exercising and spending time outdoors! Even better if mom and dad can also join and roller skate together! Just make sure you get some knee pads and a cute helmet! 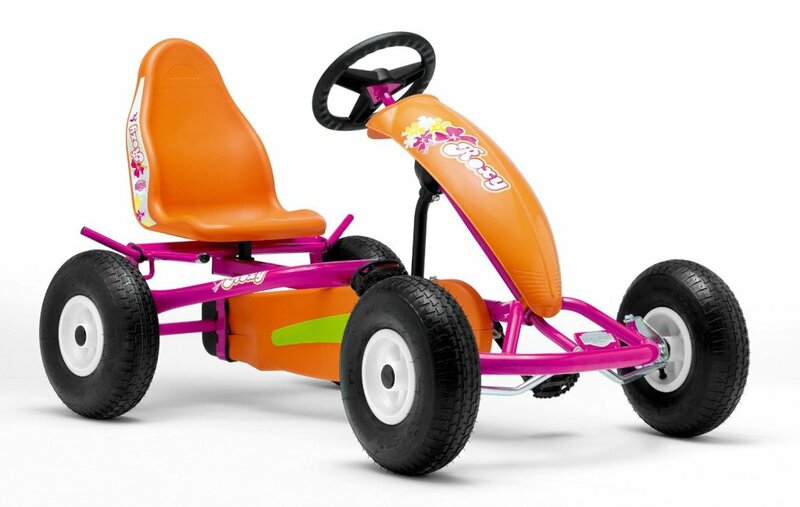 How about a Pink and Orange Pedal Go Kart for Girls? Great Outdoor Gift Idea for 5 Year Olds! What a gorgeous pedal go cart for girls! Another great outdoor gift idea for 5 year old girls is this wonderful pink and orange pedal go cart!!! Pedal go karts are still around, but much more sophisticated! If you want to make your active little girl spend her energy, this is the way!! 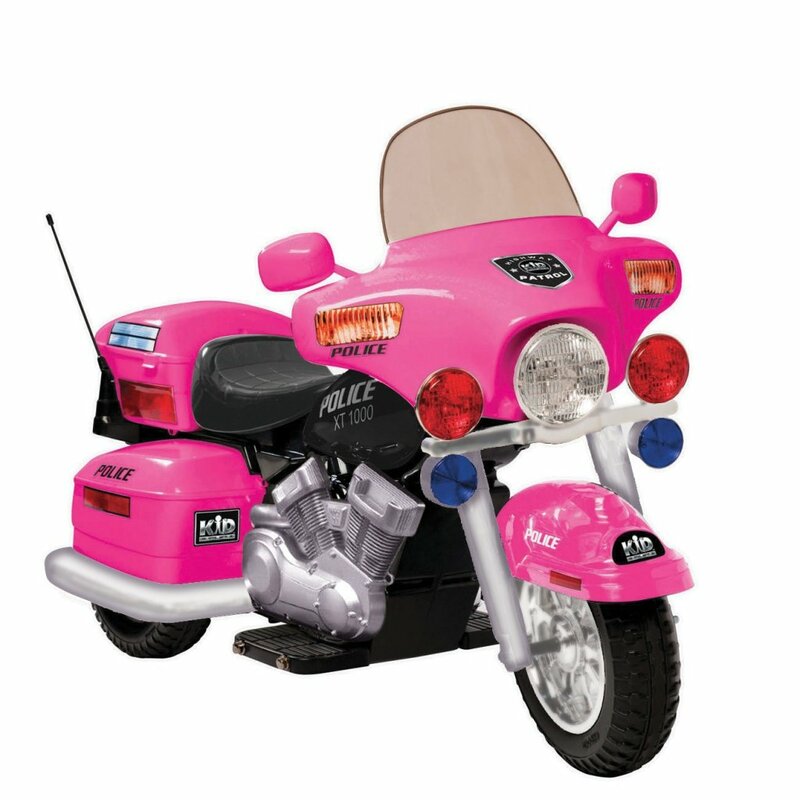 Can you think of a better and more impressive Christmas gift idea for a 5 year old girl than her very own electric powered PINK police motorcycle? It is pretty fast for them too, at about 5 mph! *This little girl is ready for her pink motorcycle ride!